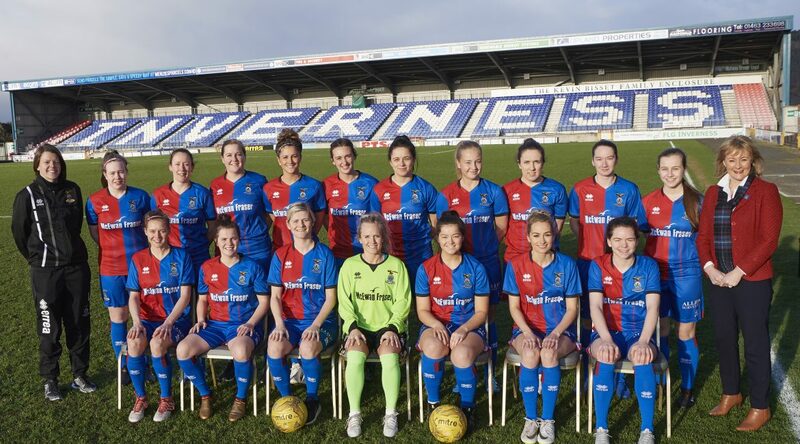 Inverness Caledonian Thistle FC are delighted to announce that they have taken the Inverness City Ladies Team under their wing. The 23-strong squad will wear the colours of ICT for the first time on Sunday when they make their debut as ICT WFC in a Scottish Women’s FA North District 1 league match against Aberdeen WFC at the Aberdeen Sports Village. The affiliation with ICT means the women will benefit from training facilities, coaching and medical support as well as transport to their Sunday matches and other support from the Club. The women are in a 12-team league, which runs until October. Other teams in their league are East Fife, Montrose, Stonehaven, Raith Rovers, Buchan, Cove Rangers, Deveronvale, Dunfermline, Westdyke and Kelty Hearts. Their coach and organiser is Karen Mason, a PE teacher at Inverness Royal Academy. Karen paid tribute to the late Sandy Corcoran who’s incredible support for the women led the team for so long. Sandy had giving his blessing to them joining ICTFC.